For shield maidens and warriors with smaller statures, the David Steel Chainmail Hauberk is a fantastic asset to many armoured medieval and fantasy looks. 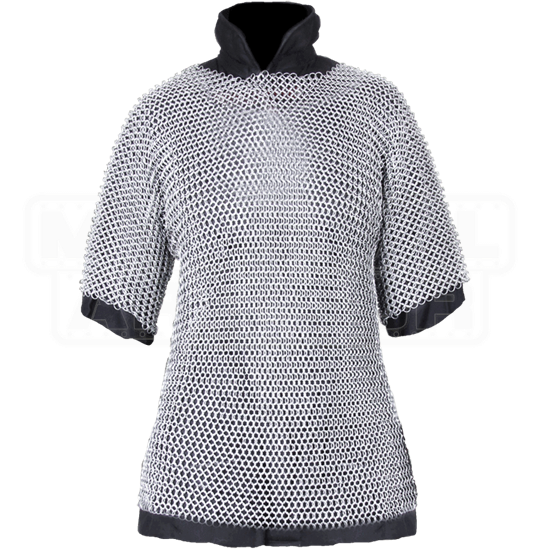 This chainmail shirt features a traditional 4-in-1 woven ring pattern. Its many steel rings have been galvanized with zinc for rust protection, and its short sleeve design is great for layering. Safest and most comfortable when worn over a padded gambeson, be sure to wear padding when measuring yourself to get the best fit. 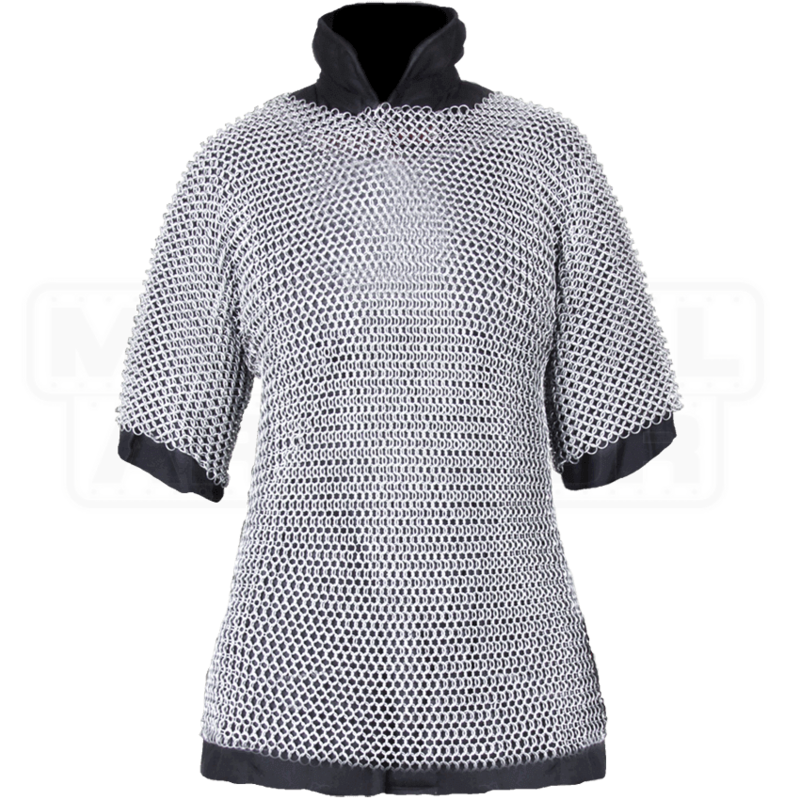 Create a well-protected knightly look for LARP events and other costume-worthy occasions when you incorporate the David Steel Chainmail Hauberk into your outfit. Got this Friday. I neglected to see the description that this was designed for those shorter stature, so being 6'3" this is a LITTLE short, But not unmanageable and far from unwearable, that is my bad. It still fits, and one of my favorite things about it are the riveted rings on the armpits. This is one of the first places for links to start breaking, and the riveted links just add so much life to this. A great product, though in the future I will be purchasing a longer hauberk when funds permit, lol.